There is one area of makeup that I've always been cautious to approach.. the bold lip. In fact, out of all the many lipsticks I own I have no reds. I have always admired people wearing bright and bold colours on their lips, but always thought to myself 'that would never suit me' Lately I've been thinking about this, and I think that this phrase is a myth. People aren't wearing these colours because they 'suit' them, they're wearing them because they have the confidence to pull them off! So I thought I'd give it a go.. 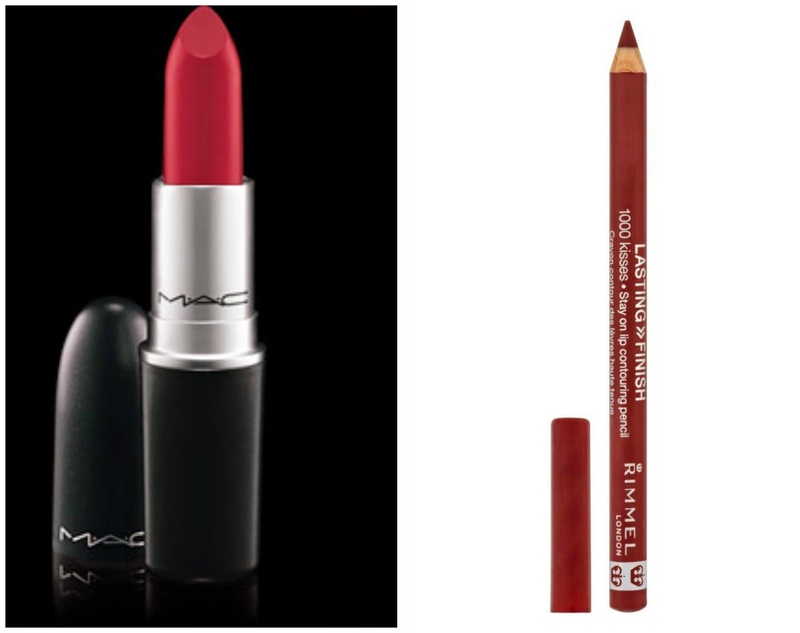 I purchased 'Russian Red' from MAC which is one of the classic reds of the brand, and from my research many people have said that it compliments people with paler skin tones without making them look too washed out (one of the reasons I thought it wouldn't suit me). 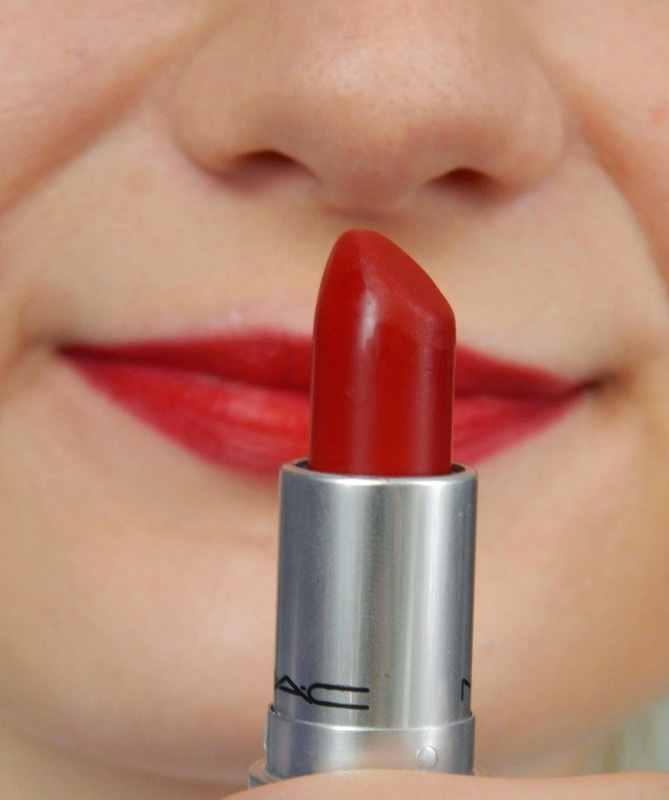 The formula of the lipstick is matte, so it doesn't bleed and has good staying power. The shade of red is on the darker side, which I think would be good for autumn. 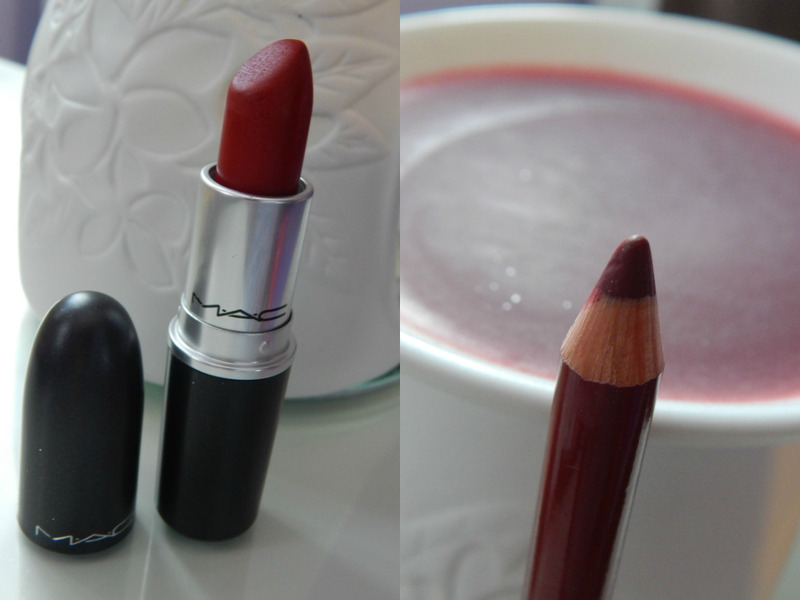 I wore the Rimmel lip liner in 'Black Tulip' with this which matched the shade perfectly. I used it to outline the lips, but also filled in the outer part of my lips too even out the colour and provide a good base for the lipstick. I love red lips but I hardly ever wear any of the red lipsticks I own lol. I definitely want to try Russian Red though.